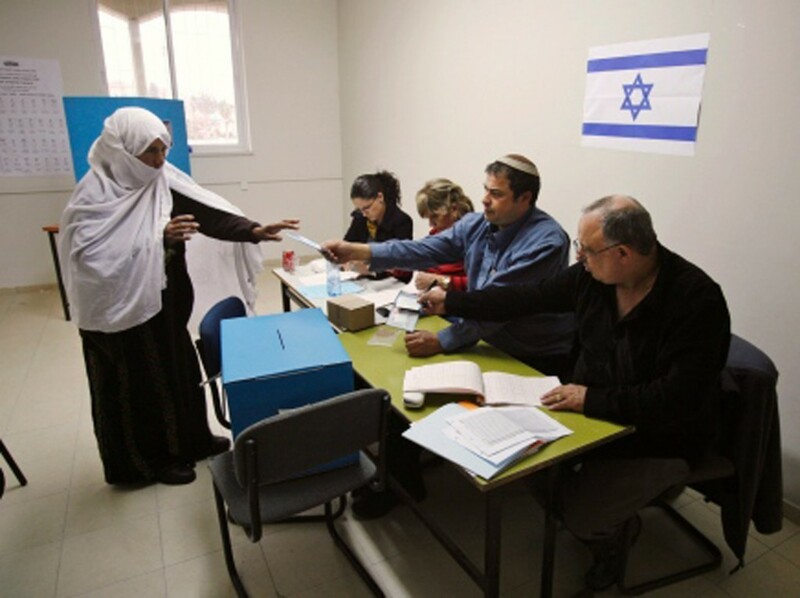 Voting on Israeli election day. This week an amazing thing will happen in the Middle East. Keep that in mind, because your local media may not represent it that way. Millions of citizens, men and women, regardless of gender, ethnicity, race or religion, will head to the polls. Totally free, democratic elections, will take place in a democratic society, under the scrutiny of an independent, open and unfettered media. Free choices will be made, citizens’ voices will be heard and the government will change as a result. The surprising thing is that this won’t be amazing at all, because these elections will take place here in Israel just as they have since the Jewish state’s re-establishment, seventy years ago. Find Israel on the map, zoom out and you’ll see just how special and unique this is. Despite the convulsions of the ‘Arab Spring’, Israel is as distinct from its neighbors as it ever was: still the only true democracy in the Middle East and a robust one at that. 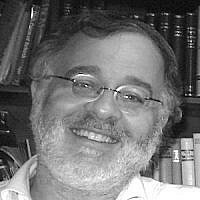 To Israel’s north, Lebanon’s government is compromised by Hizbollah, the terrorist organization that is part of the ruling power, Syria is continuing its tragic killing of hundreds of thousands of its own people and Iran’s closed society, which just celebrated 40 years since the Islamic Revolution, has resulted in rigged elections time after time. Over the border, despite setbacks, the threat of ISIS is still looms and their legacy of persecuting Yezidis and enslaving thousands resounds. To Israel’s east, a Jordanian kingdom that has only partially free elections and is feeling the heat of the Arab revolutions that have swung Islamist; to the south an undemocratic Egypt where Christians are fearful for their lives and criticism is stifled. Meanwhile, consider Palestinian Authority President Abbas, whose four-year elected term of office ended over a decade years ago – with no election in sight. And in Gaza, despite popular Palestinian protests against their dictatorial rule, Gazans continue to live under the jackboot of Hamas, which crushes their dissent. 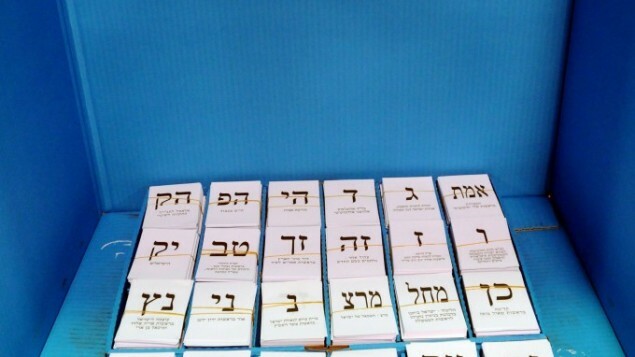 Voting slips at the Israeli ballot box from a previous election. Now zoom back in on Israel, the world’s only Jewish country, where every citizen will have a choice about who governs them – and what a choice! 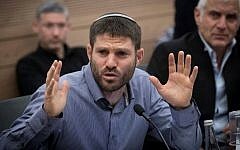 Thirty-nine parties will vie for the votes cast at some 10,000 polling booths; Israelis will decide the leadership that is best for their country in a free and fair election and a representative, proportionate Knesset will be formed. On the ballot, a myriad of issues – war and peace, health, education, socioeconomic questions, the cost of living, transport, foreign alliances, the legalization of marijuana and more. To Israel’s credit it does not compare itself to the neighboring countries in the region but to liberal democracies that have a couple of hundred years of democratic experience. Modern Israel’s extraordinary achievement is that from its rebirth in 1948, and absorbing, as it did, people from a kaleidoscope of countries and political systems, it has been a beacon of democracy in a sea of dictatorships. That’s Israel, where the debate is vibrant and raucous, freedoms are protected, and where – despite constant and dangerous strategic threats on its borders – democracy is real and palpable. Winston Churchill reflected in 1947 that “democracy is the worst form of government, except for all those other forms that have been tried from time to time.” And former Soviet dissident Natan Sharansky reminded us more recently that democracy is not just about voting but about whether it is possible for “someone within that society to walk into the town square and say what they want without fear of being punished for his or her views”. That’s Israel, where the debate is vibrant and raucous, freedoms are protected and where – despite constant and dangerous strategic threats on its borders – democracy is real and palpable. Israeli politics are complex, confusing, loud and messy. The stakes are high – perhaps even higher for a country in a region where democracy is the exception rather than the rule. Israel strives for a just and fair society, we crave peace with our neighbors, we want the best education we can offer our children. Like all countries, we try our best and inevitably fall short sometimes. True to form, Israel’s external enemies are already preparing their soundbites as to how the yet-to-be-decided election result will be problematic. They are amplifying Israelis own criticisms without realizing that only in this tiny strip of land in the Middle East can you rage against your government, whether in the town square, in publications or on the internet. 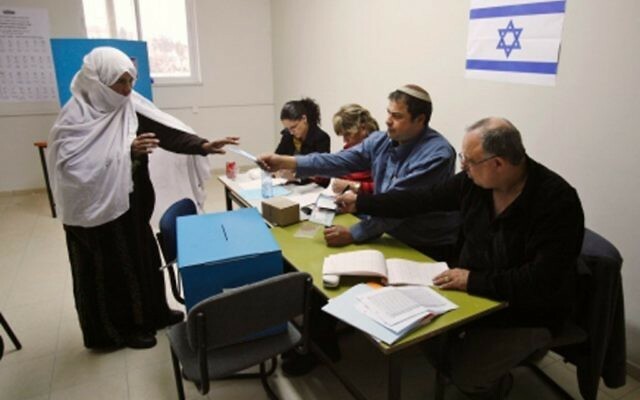 There will be no photos in newspapers of Israelis joyfully celebrating their right to vote. Here in Israel, we take it for granted. 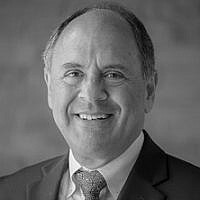 Dear World – An amazing thing is happening in Israel this week. As with all election results, you may like or dislike the results. But Israel is a sterling example of a self-governing democracy: you should celebrate it, and at the very least, respect it.